At the end of any year, there’s always reflection about whether it was good one or not. While one might focus on those we lost, various scandals, and other setbacks they’ve endured, The Walt Disney Company is, at its core, about bringing joy to the world and making memories. With that in mind, we’ve compiled our list of the Top 10 greatest Disney moments of 2017. Now, on the surface, this first pick might seem a bit out of place on this list. For one, it wasn’t exactly “great” as it was not only embarrassing but also robbed deserving filmmakers of their triumphant moment. Moreover, considering La La Land and eventual winner Moonlight were released by Lionsgate and A24 respectively, it would seem Disney isn’t much of a factor in this one either. However, this deeply memorable and jaw-dropping goof up aired on ABC and was handled masterfully by the network’s own Jimmy Kimmel (who discussed the whole thing on his show the next night, as you can see above). With the ABC set to air the Oscars through 2028 and Kimmel already tapped to host the 2018 event, this screw-up could actually benefit Disney if more viewers tune in to see if the unthinkable could happen again. 2017 was not a good year for ESPN. Falling subscriber numbers, political controversies, and the departure of their president all caused headaches for the network and for Disney. 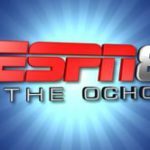 However, ESPN did get some earned positive press for an out-of-left-field stunt they pulled in August: launching ESPN 8 “The Ocho” for one day only. If you didn’t know, this title is a reference to 2004 Fox film (foreshadowing?) Dodgeball: A True Underdog Story. Staying true to the fictional network’s programming in the film, ESPNU ran everything from roller derby to a Street Fighter tournament — and, yes, some dodgeball — on August 8th. While it may not have left a lasting impression, The Ocho was still a fun experiment worth celebrating. 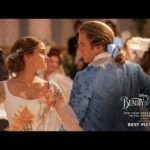 Despite making piles of money, Disney’s live-action Beauty and the Beast seemed to divide audiences. More specifically, there were questions about whether the film was too loyal to the 1991 version or strayed too far from that masterpiece (essentially a precursor to the Last Jedi controversies that would come months later). No matter where you fall in that debate, one element that fans could seemingly agree about was the new song “Evermore.” In a movie with so much retread, this gorgeous Meken/Rice-penned tune was a standout that many fell in love with. Speaking of retread, anyone who’s ever been on Star Tours is already pretty familiar with Hong Kong Disneyland’s Iron Man Experience. That said, the attraction did break new ground as it was the first Marvel attraction to call a Disney park home. Plus, despite the comparisons its ride system invites, the film itself is actually quite entertaining and fun. But, more importantly, the grand opening of Iron Man Experience marks the start of something big for Hong Kong Disneyland and for the Disney Parks overall. About this time last year, all you heard about was how mad fans were that the Twilight Zone Tower of Terror in Disney California Adventure was closing and being replaced by a Guardians of the Galaxy attraction (Déjà vu). That hostility only grew stronger once the exterior for the Collector’s Fortress was unveiled, with many complaining about sightline problems the eclectic alien design caused. But then something happened: people actually rode the thing. While there are still those who despise Mission: BREAKOUT! and perhaps even refuse to ride, it seems the majority of the once-skeptical public — ourselves included — has done an about-face on this one, which is always entertaining to see. Normally a trailer release likely wouldn’t make our list of the top moments of the year… but Infinity War isn’t your average flick. For one, the movie will mark the culmination of 10 years of filmmaking and take Marvel’s groundbreaking often imitated, never replicated Cinematic Universe to the next level. Adding to the hype is the fact that fans at the D23 Expo and San Diego Comic-Con got to screen footage this past summer, leading to some serious FOMO among non-attendees. Then, the day before the trailer dropped, Marvel released a wonderfully made teaser (seen above) highlighting the pop cultural impact their trailer releases and films have had. Of course, it helps that the trailer itself was as epic as you’d expect — almost feeling like a mini-movie of its own from the Marvel Studios intro to the perfect tag. It’s no wonder that Infinity War now holds the top spot for the most trailer views in 24 hours. Disneyland Paris’s history has been a bit rocky. The resort, once known as EuroDisney, was not an immediate success and has been famously blamed for ruining other Disney projects as a result. Still, Disneyland Paris’s beauty and detail have made it a fan favorite. In April, the resort celebrated its 25th-anniversary in style, hosting a massive and impressive spectacular you have to see to believe (and you can above). From the countless characters to the heartwarming parade of more than 1,000 Cast Members at the end, this was about as magical as it gets. A short time after this event, Disney officially took full ownership of the resort, leading many to believe there are bright days ahead for this gorgeous park. In the past decade, Disney has made some big purchases. Yet, all of those acquisitions pale in comparison to the proposed purchase of 21st Century Fox (following the spin-off of some assets). With the Fox film and television libraries, stake in Hulu, and much more set to join the Disney umbrella, there’s no question that this deal could change to course of the company in a major way. Granted, this shocking development would have been a much bigger surprise had news of talks between the two companies not leaked weeks ahead of time. Still, given the magnitude of this announcement, it deserves a spot on this 2017 list, even if the deal won’t be completely sealed for 12 to 18 months. 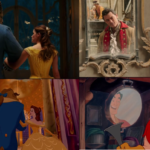 This year, Disney released seven “Fresh” movies and one “Rotten” one — care to guess which the latter was? Setting aside your feelings on the film or the franchise, Johnny Depp’s Captain Jack Sparrow in Pirates of the Caribbean is an iconic character. In fact, the only thing more iconic is the ride the films drew their initial inspiration from. That’s likely why the idea to have Depp surprise guests by appearing in character among the ride’s Audio-Animatronics was such a hit. Almost immediately after the first boat of unsuspecting riders returned to sea level, social media exploded and videos of the encounter quickly went viral. A similar phenomenon happened last month when Mark Hamill boarded a few Star Tours flights but, as cool as that is, this stunt bests it and made for one of the greatest Disney moments of 2017. 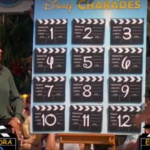 So what was your top Disney moment of the year? Let us know!